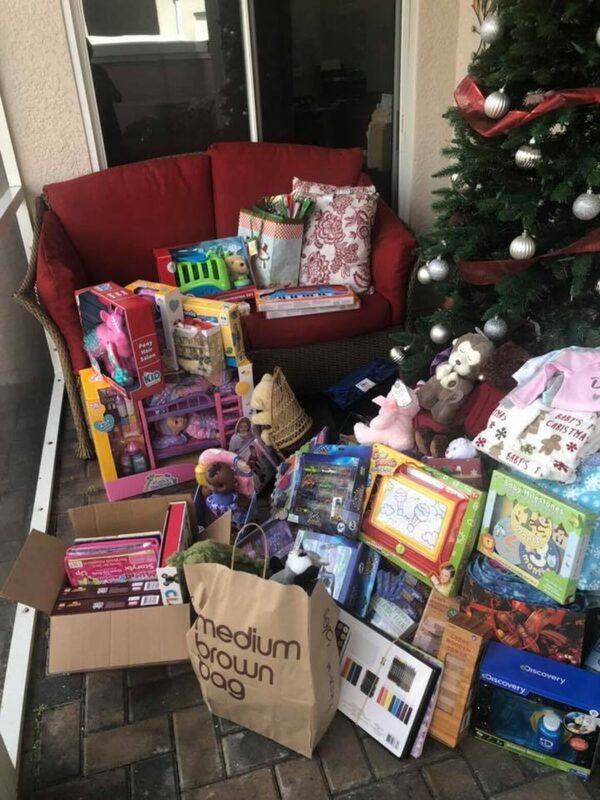 Our Toy Drive was a huge success! The children of GAL thank you and so do we. This year in addition to delivering toys, we had friends and neighbors bring hand-made quilts, gifts, and blankets for the children. We had friends donate and assemble brand new complete outfits of clothing, in various sizes for boys and girls, and Michele of the NBA pitched in and donated lots and lots of NBA licensed gear. Gifts came from near and far. Wow! How lucky are we and the children of GAL!! Our clients, friends, and neighbors in Solivita and the northeast came through again. A big thank you to each and every one of you. Bella Verde shopped, and shopped, and shopped again to keep up with your generosity. We all had some fun filling up the sleigh. Thank you to everyone who shopped, donated, helped, packed up items, and shared in the collection of gifts for these wonderful children. Santa’s sleigh was certainly full. Solivita is a beautiful community, but what truly makes it beautiful is the folks call Solivita home. Each of you add to the beauty of Solivita and the joy of living our life here.